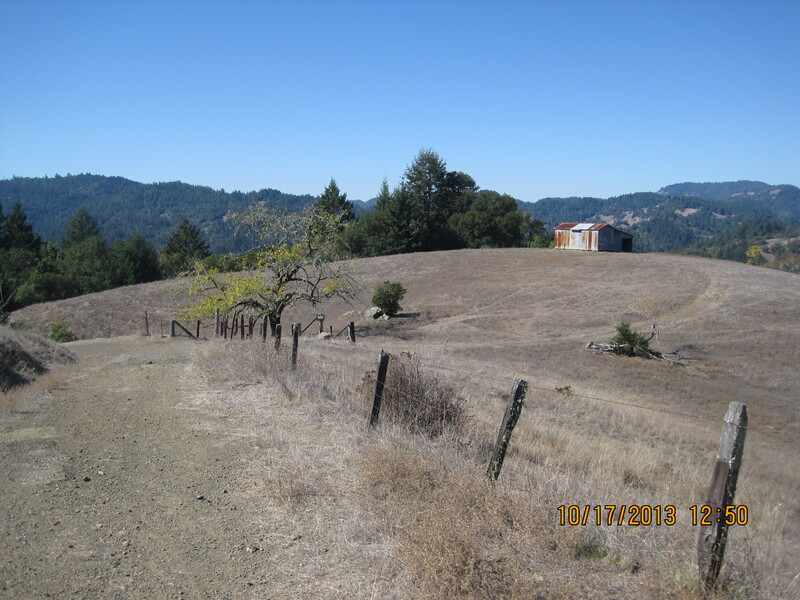 Old Cazadero 300k | mmmmbike! My general goal in doing an R-12 this year was to maintain discipline and keep in shape in order to work up to a full Super Randonneur series (one each of a 200k, 300k, 400k, and 600k, all ACP-sanctioned brevets) in 2014. After riding the 400k this year, I knew that simply riding 200ks each month would not be enough to make me ready for a 600k next year, so I wanted to do something longer this fall. But when John suggested we do the Old Caz 300k permanent, I was not so sure it would be a good idea. 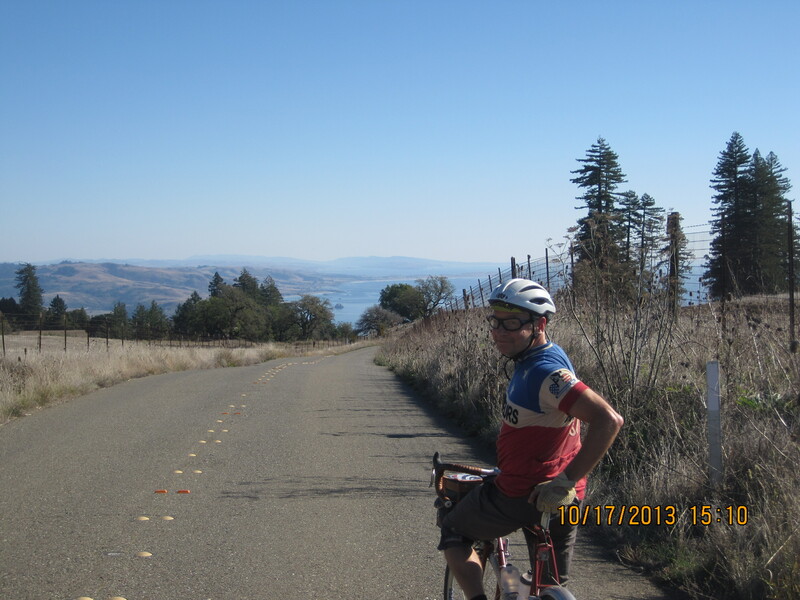 Max, the route owner, says of this ride that one should add 30% to one’s average finishing time on the regular SFR 300k in order to get an idea of what to anticipate on Old Caz. That would put me outside the time limit by almost an hour. So, I started jogging again a few weeks before we planned to ride, and established a routine of stretching exercises in the morning. I also took care of groceries, etc. to make sure I had no reason to skip meals like I sometimes do when I’m hard at work. I also did some research on the route to see if I could figure out some goals to set for myself as far as timing for each control (ha! I am pretty naive). In studying the Old Caz route, I compared finishing times (according to the SFR website) among a sample of ten riders who finished the SFR Russian River 300k this year and the Old Cazadero 300k. John P’s results had the least variation: 15%. The greatest variation among finishers was an increase of 40%. Old Caz is a challenging route by all accounts. There are several grinding climbs, and yet, the rewards are great: lots of natural beauty, and country roads empty of traffic. There are some dirt sections, rough pavement, and even a stream crossing. I have read numerous discussions on the SFR list about the appropriate tire size, gear etc for a ride of this nature, but I stuck to the usual plain old 700C Pelican with the same 32mm Panaracer Pasela tires I always ride. Mr. Potis rode his old standby red custom 650B Pelican. Chileno Valley was still in the morning… We had perfectly clear weather the entire day: no clouds to obscure each and every beautiful view available. Unfortunately, there was little time to stop and take lots of pictures; we needed to stay on the move to finish within the time limit. I haven’t yet figured out what exactly makes one route more difficult than another. Some routes have similar amounts of elevation gain, but one seems much harder than another. There are several blog entries with ride reports on Old Caz, and most of them scared me into keeping up my training routine. Of course, the one that echoed through the vast caverns of my vacant mind as I rode Old Caz was this. For the most succinct and accurate description of the Old Caz route, I look to the route owner himself, here. Most SFR brevets and permanents will have at least one or two mean climbs over a 200k, and most of the standard brevet routes try to keep us away from trafficky highways as much as possible. 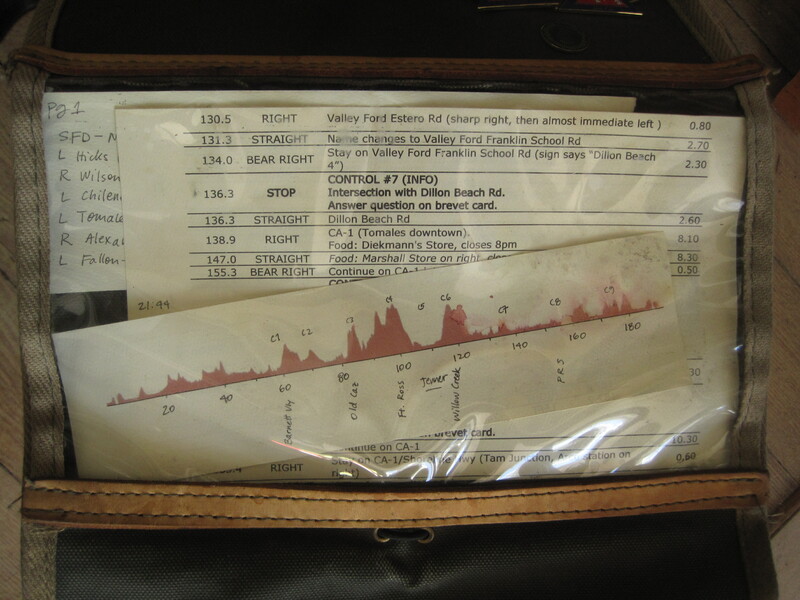 But Old Caz is part of the SFR Adventure Series: a group of brevets that have more strenuous routes, go to more remote places, and (wait for it…) No Safeway Controls!!!!! I always thought the Adventure Series would be something nice to do after finishing PBP a few times. As exciting as PBP is, I’m sure there’s a certain segment of the randonneuring population that needs a new horizon. In fact, there are brave and noble randonneurs in my area who have accomplished multiple 1200ks in one year, and continue to ride afterwards, too. I have not even attempted a 600k, so what am I thinking in trying any of the Adventure Series rides? Just blind ambition, I guess. It was also very nice that John invited me to join him, and that he believed I would be able to complete the ride. I trained as hard as I could in the short time available to prove him right. Any time I ride a route that is unfamiliar to me, it’s a bit of a gamble. I worry about getting lost, but more importantly, it’s difficult to pace oneself when you don’t know what to expect. Difficult sections are made easier for me by knowing when they’ll be over. I can eat extra food and know it will digest before a tough climb if I give myself at least 20-30 minutes. If I run out of energy in the middle of a climb, I usually just give myself indigestion by eating in the middle of it. I prepared as much as I thought possible for this one, and then, I had to resign myself to the adventure. I thought it would be a great idea to carry extra water along in a platypus bladder like I use when camping, but the sealant loosened while inside my handlebar bag and turned John’s lovely Alps bag on loan to me into a little swimming pool for all my stuff. In case you ever doubt the waterproofing of plain cotton canvas duck, I’m here to tell you it holds water, yes it does. In feeling that I was packing too much stuff, I left my wool mittens at home, a decision I regretted deeply later on. But a lot of things went right on this ride, long, slow slog that it was. Most of the controls for the Adventure Series routes are info controls–you have to answer a question about an intersection or a street sign to prove you didn’t take a shortcut. Info controls, hallelujah, are not timed, so you have a bit more leeway in your pacing. Receipt controls are timed. Jenner is a receipt control on this route which happens to follow the two main climbs: Fort Ross and Old Caz. I had been pretty sure throughout those two climbs that we wouldn’t make the Jenner control in time, but tried to keep the pace constant anyway. When we arrived in Jenner well before close, I was shocked. The next timed control was Point Reyes Station, another control I was pretty sure would cause a DNF for us, but we made that one too. I don’t think John has ever ridden this route so slowly; in the end, we finished the ride with 45 minutes still on the clock. I am currently the record-holder for the slowest finisher on this course at twenty hours and one minute. John and I kept joking throughout the ride that if we DNF’ed, I would have to do the Jittery Jaunt permanent to fulfill the October installment of my R-12… so, at least there was no Jittery Jaunt for me. Doing this ride in October meant there would be less daylight for us while riding. 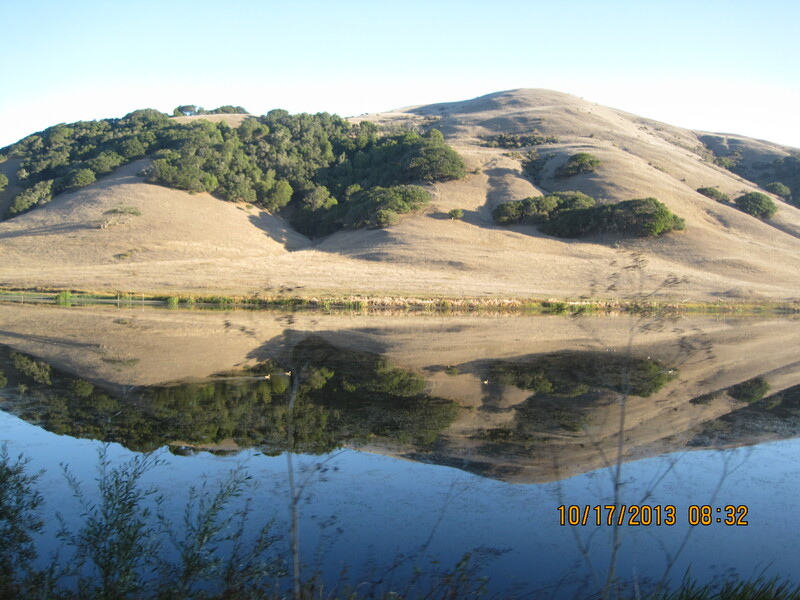 Some of the later hours were the most memorable for me, such as riding around Bolinas Lagoon in the dark, and the climb out of Stinson Beach. The only sound was the surf hitting the shore, so incredibly peaceful. Motorists at that hour were more likely to be locals and gave us a wide berth on the road. Riding our usual rando bikes meant we had our nice, bright lights and of course we always wear good reflective gear. In the final analysis, I am so glad to have done this ride, and so grateful for a patient and generous riding companion like Mr. P. When my Platypus broke open, he offered to carry a couple of my things to take some weight off during the Old Caz climb, and although we rode more at my pace than his, he never complained. I think I have finally convinced him that he is a much stronger rider than I, a point I’ve been arguing for some time now unsuccessfully, so I’m glad we’ve put that to rest. I am also grateful to Max, the creator of the Adventure Series rides. To some he is a sadist, to some an evil genius; to me he just seems like a guy with an extraordinary aptitude for endurance sports who wants to enjoy greener pastures than those of the typical (though also, it must be said, not too shabby) SFR routes. To enjoy the beautiful, sweeping views, you must work for them. Being at the top of Fort Ross and looking over the coast toward Jenner and Point Reyes Seashore was like being in an airplane. Only at the top, looking down over the coastline, did I realize what I had just been doing for the past few hours. It’s a very tangible feeling of accomplishment. At that point I also realized there is no way to fully prepare for an experience like that; you can only do the ride, and hopefully keep doing rides like it. So… ’til next time, Old Caz.